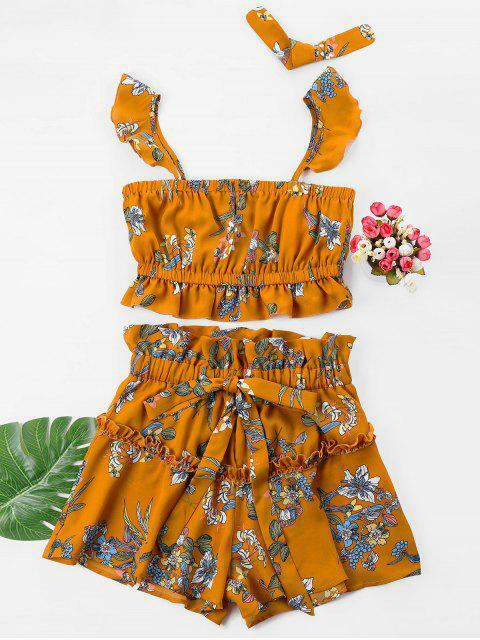 [47% OFF] 2019 Floral Crop Top With Drawstring Shorts Set In BEE YELLOW | ZAFUL .. This Hawaiian style two-piece set has us obsessed! 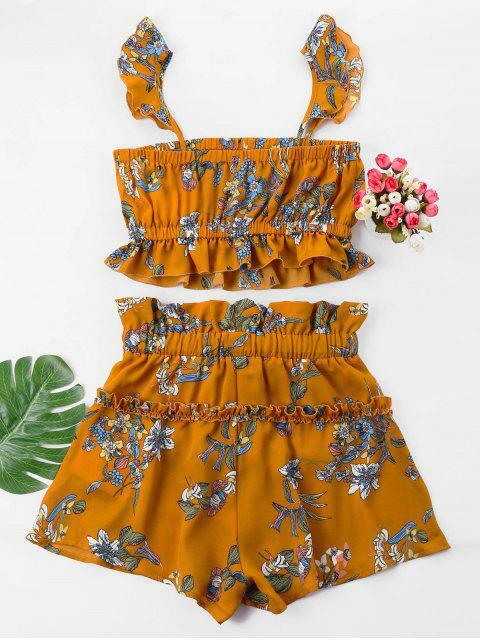 A flirty crop top, with ruffle straps, starts off this lovely two-piece set made from lightweight fabric in a vibrant tiny floral print on the bright color background. 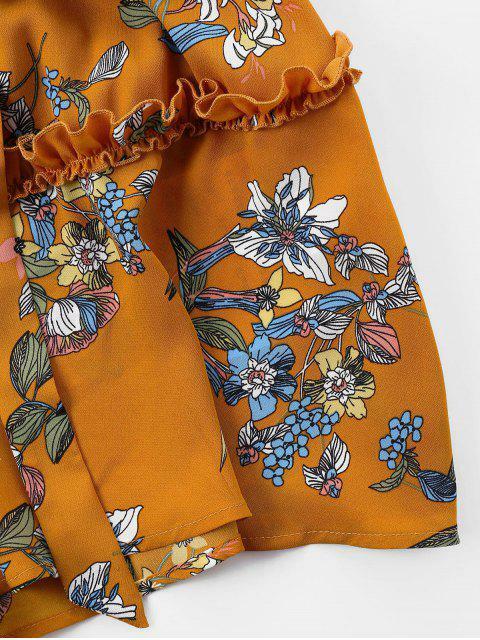 Matching high-waisted shorts accents with the flounced trim detail. Style it with your fave sunglasses and sandals or heels for the hot coming summer!